This question comes up all the time! It seems we are always looking for that magic formula or solution. The answer to the question is easy…”It depends”! In fact, I had this very discussion with a friend during lunch just a few weeks ago. The reason there is no right or wrong answer is that we are all different and deal with our finances in different ways. There is a psychological element to the question and the answer. How stressed do you get worrying about your credit? If you stay awake at night worrying about your debt load (or as a comparison, the money you have invested), then I would suggest that having less pieces of credit will mean to more to you than less balance. In that case, pay off the smaller card first and get your number of creditors lower. 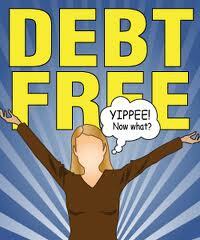 You will get a psychological boost that can go a long way to helping you achieve your goal of becoming debt free. What is my ability to pay each month? Do I follow a budget? If you are financially stable for the long-term and have great discipline, set a monthly amount, with the greater portion going to your higher-interest card, and pay down your debt sooner. This could cut months or years off your repayment plan. But only if you commit to paying it off and do not continue to use the credit as you pay down the balance. Am I a good credit card user? Let’s face it. Some of us are not. I openly admit my dysfunctional relationship with credit cards. If that sounds like you, then pay off the lower card and cancel it, then you can focus on the higher balance, higher interest card next. perhaps you have a low-interest line of credit that you can tap into to get the best of both worlds, move all your credit card balances to the lower-interest line of credit and make your regular credit card payment on top of your regular line of credit payment to get more bang for your buck. Of course the magic to this formula is that you need to stop using the credit to get rid of it. So I would always suggest starting there. Track your spending and ensure that you are not spending more money than you make per month. If you are, get a handle on that habit first and then tackle your credit card repayment. 10 Tips for a Great Financial Start to the New Year! Next story Track your spending for success!